Our major partners at Muzzi Moto are NBS (the famous Nigel Billingsley) who provide the workshop and machine preparation to Muzzi Moto. 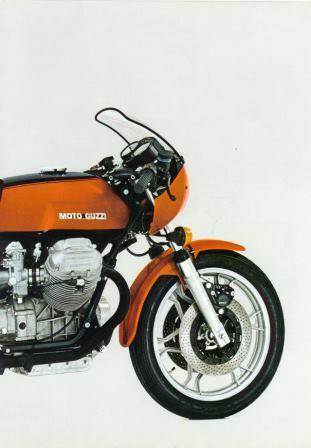 NBS are the leading Moto Guzzi only mechanical specialists in the UK. Having been in business for over 20 years NBS offer unrivalled back-up and mechanical support for all Moto Guzzi twin cylinder models. 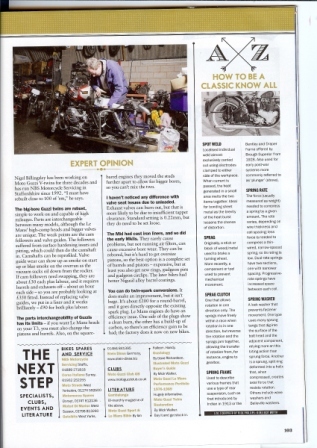 NBS and Big Nige' in the press (again, what a media hound...), Classic Bike magazine June 2018. This is Big Nige' at work, look out for the magic pliers ! NBS were also the subject of the cover story and feature article in ClassicBike magazine October 2008 (click below to view a .PDF of the article). NBS Motor Cycle Servicing, Ingestre Garage, Trent Drive, Ingestre near Stafford, Staffordshire ST18 0RE.